Want to add some extra details to your next casino night? Casino Special Event offers custom playing cards in low quantities at affordable prices. We offer custom playing cards with full-color images, logos, and single color imprints. 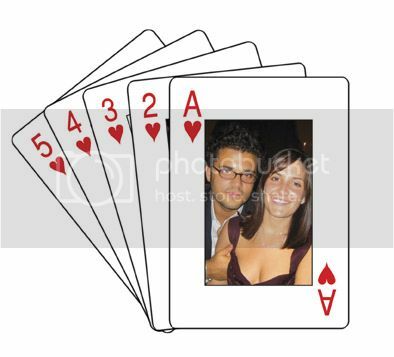 We also offer pre-made templates for Wedding Favor Cards, Bat Mitzvah (Bar Mitzvah) playing cards & new baby playing cards. Custom playing cards are guaranteed to wow your guests at your next casino event.